When it comes to winning against their eternal nemesis Brøndby, last year was not a good year for FC Copenhagen. The Lions didn’t win any of the five games and only drew one. 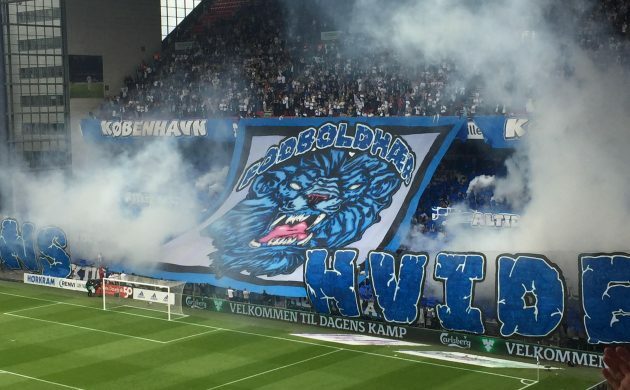 But this new season is already looking better for FCK thanks to a 3-1 win over Brøndby at Telia Parken Stadium yesterday. Robert Skov put the home side ahead with a freekick in the first half before Ante Erceg equalised for Brøndby early in the second half. Nikolaj Thomsen and Viktor Fischer then both scored to seal it for FCK. The win puts FCK top of the Superliga table on 12 points, ahead of AaB Aalborg by virtue of goal difference. FC Midtjylland and Brøndby are two points further adrift. Bar Wars: Can the Globe strike back in the annual Tug of War battle?